Henry David Thoreau had a way with words. But, according to science, he wasn’t exaggerating. A HuffPost article names five health benefits of listening to music and shares the studies that prove them. Among them are music’s abilities to reduce stress and anxiety and to decrease pain. In short, an enjoyable melody leaves its audience at or closer to peace or, as Thoreau describes, without danger or harm. Knowing the power of music, it’s no surprise music festivals are increasing in popularity all over the world. Weekend passes for Coachella 2018 sold out in three hours, and general admission within 35 minutes. Likewise, last year’s Glastonbury Festival in the U.K. saw all 135,000 tickets go in 50 minutes. These events and others have become so fashionable, producers must continue to raise the bar and enhance the experience. It’s the only way to ensure their ticket is the one consumers buy in their desire for a musical escape. This means added entertainment, such as Glastonbury’s Theatre and Circus and Coachella’s world-class art exhibits. It also means a variety of the best in food and beverage and in brand activations. 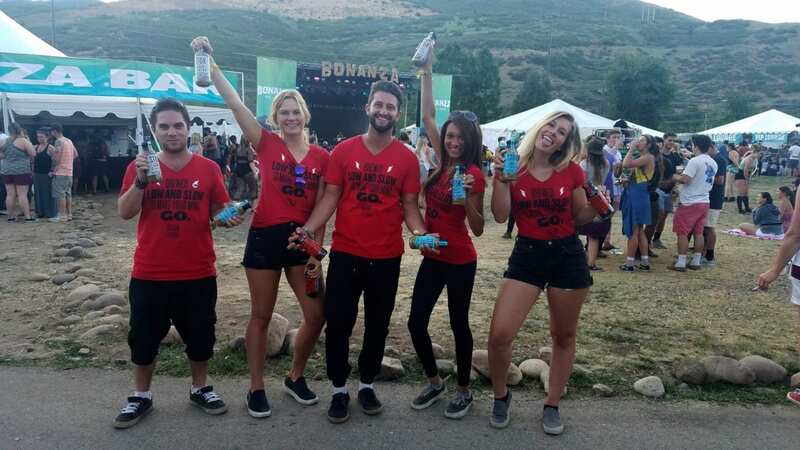 In fact, music festival sponsors have become a critical element of the fan experience, gradually making it more difficult for brands to stand out. Yet, with a little creativity, event marketers and agencies can retool existing ideas. They can make them their own and strike a chord among festival attendees. Music festival sponsors can secure a standing ovation, while securing their investment, by taking note of these brand activations. A 2017 report looked at the shopping habits of Coachella attendees to surmise where they may be found before and after the festival. Their coffee shop of choice? Starbucks, leaving Peet’s Coffee and Tea in its wake. And, maybe, it’s this finding that fueled the latter company’s superstar brand activation at Coachella 2018 in support of its recently-added Cold Brew. To create awareness of its presence and win the hearts of Coachella millennials, Peet’s kicked off a giveaway for VIP weekend passes. It also enlisted the help of targeted and diverse influencers, from a radio host to a pro surfer, to spread the word and generate excitement. Peet’s arrival at Coachella 2018 lived up to the hype. It set up shop in a cool blue-and-white bus, where it handed out Cold Brew samples. Visitors could also have some fun in the brand’s interactive photo booth, dubbed the “Ice Sauna.” Yet, its efforts to help people fall in love with its Cold Brew didn’t stop there. Brand ambassadors cruised the festival grounds on trikes to hand out more samples. Considering the party that is Coachella, and the blistering daytime sun, the cool, caffeinated beverage was no doubt a hit. Peet’s Coffee may have helped quench tired Coachella attendees’ thirst. But, tech giant HP knew how to truly cool them down. The brand introduced its activation, “The Antarctic,” last year. And, it was such a success HP brought back its immersive, 11,000 sq. ft. dome for Coachella 2018. Inside, visitors enjoyed air conditioning and a 360-degree, audio-visual experience while sitting in bean bag chairs. The brand also tied together Coachella’s focus on music and art, and even its environmental cause, with the launch of new HP Pavilion products. Product specialists helped visitors create a custom Klean Kanteen water bottle using laptops, Inking technology and graphics printers – another way to help keep festivalgoers cool. Other experiences included the ability to create a custom GIF to share via social media for their fun (and HP’s maximum return on engagement). UK-based beauty brand, Soap & Glory, understands the power of music festivals. After all, these events are reported to attract nearly 14 million visitors to the country each year. So, when Soap & Glory sought to launch its products in the United States, naturally, it went where its target consumers were. And, that was millennial-aged women at iHeart music festivals. A team of eight women, dubbed “Glory Girls,” traveled to various iHeart events nationwide. At each stop, they told attendees of their products, handed out samples, gave makeovers and posed for selfies. 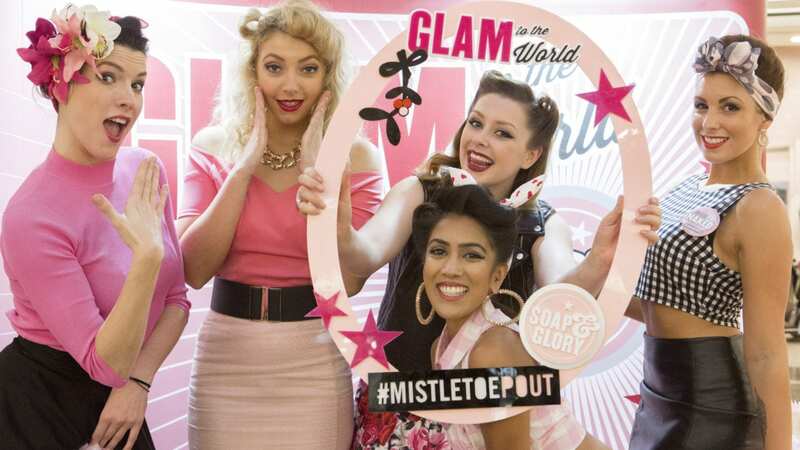 In the end, Soap & Glory and its Glory Girls reached 21,000+ festivalgoers and generated thousands of social media posts. More importantly, they provided real value to female music fans in a time when looking your best at music festivals is almost as important as the music. A deal inked with Live Nation in 2017 gave sponsorship rights to Danish alcohol brand, Carlsberg, to bring its beer and cider to popular U.K. music festivals for five years. And, Carlsberg has set out to make the most of that investment by giving festival goers a look at its roots. It’s showing them the “Danish way” from its Danish Quarter – or DQ – brand activation. Within DQ, visitors can take part in artisan classes, in which they learn to make candles the Danish way. For more fun, they can ride a Danish bike in a photo booth, which produces a GIF link that is shareable via social media with the hashtag #Danishway. Last, Carlsberg’s Brew Master shares information on their brewing process. And, participants enjoy product samples, paired with, none other than, Danish foods. This is, of course, while listening to music, including live DJ and acoustic sets. In the end, attendees get the authentic and transparent view they want from Carlsberg and its products. And, the brand struck a chord and brought attendees peace using music and an experience – none of which will be soon forgotten. At Elevate, we understand the investment music festival sponsors make to make a measurable impact on fans. Let our event staffing services help your brand stand out among the festival crowd.